Valve has introduced a variety of new changes for the Katowice Major. This year, Valve is offering the Katowice 2019 Viewer Pass. 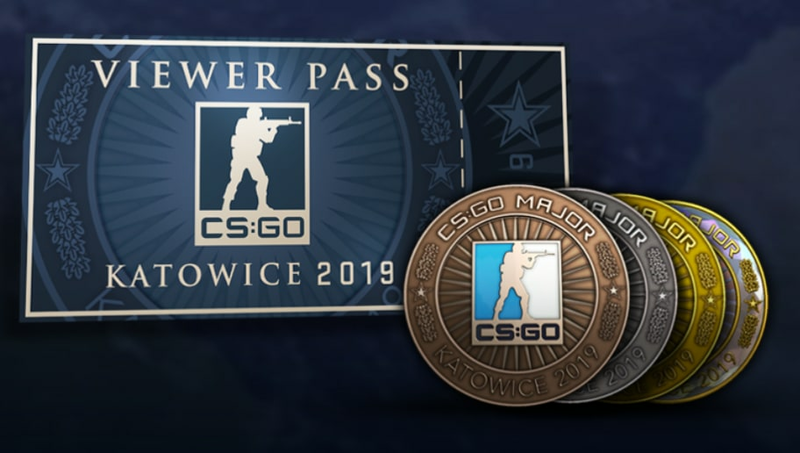 This pass will allow players to acquire an Katowice 2019 Event Coin that can be upgraded, access to the Katowice Pick’Em Challenge, Team Graffiti, Steam.tv flair, and exclusive access to Katowice 2019 Souvenir Packages. Viewers can upgrade their event coin by watching matches and playing the Katowice Pick’Em Challenge. Every time you upgrade your coin, you will receive a guaranteed Souvenir Package from the match of your choice. This is a drastic change from previous Majors where Souvenir Package drops were entirely random and obtained by sheer luck. Here’s an image of some of the team stickers for the Katowice Major. Here’s an image of some of the player signature stickers for the Katowice Major. For full information on the Viewer Pass, Souvenir Packages, Stickers, and more, check out ​Valve’s full blog post. The 2019 IEM Katowice Major begins Feb. 13 with the New Challenges Stage. ​The first matchups of the tournament have already been revealed.